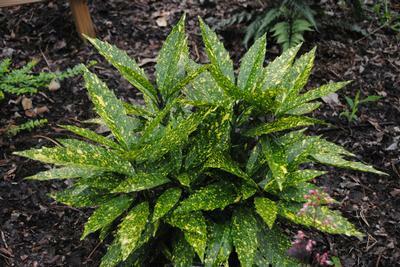 This female selection of the evergreen Aucuba japonica has some of the brightest leaf splashing out there. 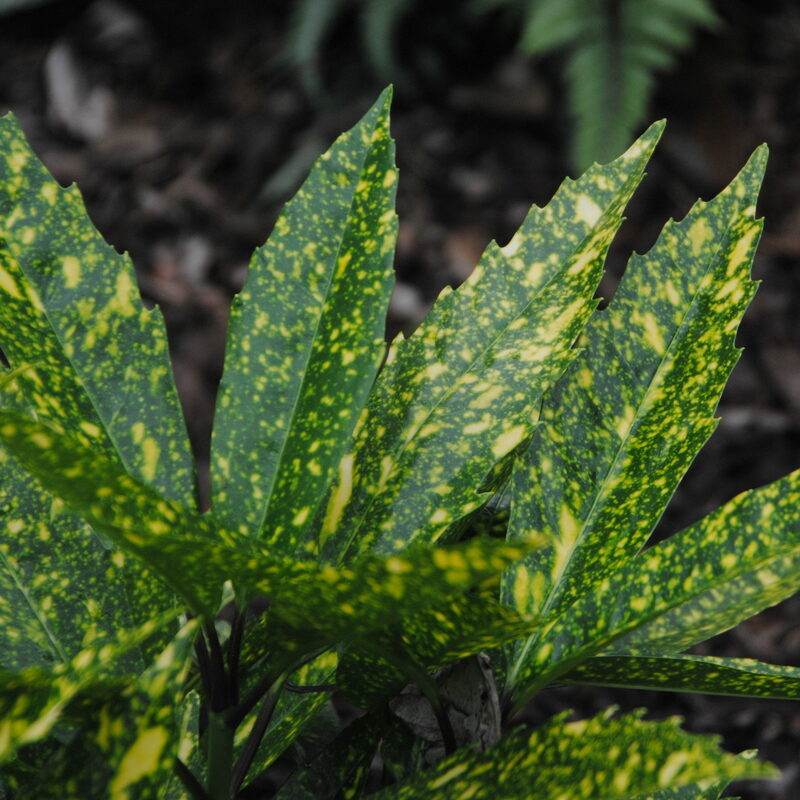 Aucuba ‘Hosoba Hoshifu’ means “narrow-leaved star-variegated.” 5-year-old plants are roughly 4′ tall x 4′ wide on the way to 6′ in height, with a similar spread. 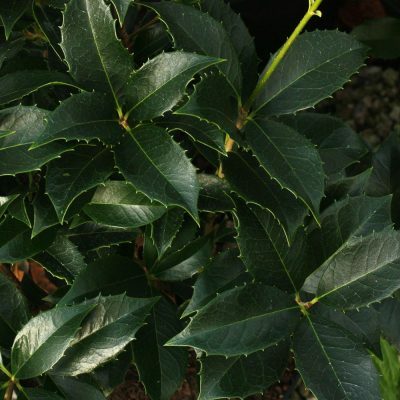 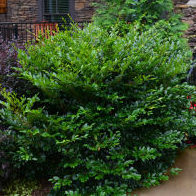 The plants are adorned with narrow, 7″ long x 1.5″ wide, dark green leaves, heavily speckled with yellow dots. 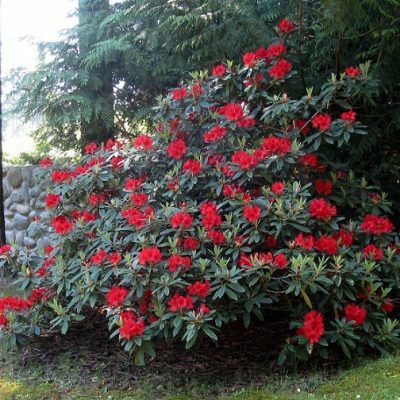 In winter, the plants are adorned with large clusters of bright red fruit the size of large peanuts…provided you have a male clone nearby.